Brussels, 28 June 2017 – IAB Europe, in collaboration with IHS Markit, has today published the AdEx Benchmark 2017 Report – the definitive guide to the state of the European digital advertising market. The report, now in its twelfth year, reveals the key milestones contributing to this year’s market value of €48bn and the eighth consecutive year of double-digit growth. The report provides a comprehensive perspective of digital advertising spend across Europe which is essential in benchmarking market development trends, the increasingly pan-regional nature of digital advertising investments and the role of Europe’s digital economy in a global context, attracting global start-up funding and European policy formulation. The report is based on a study1 of twenty-seven markets in Europe. Twenty of these grew double-digit. Core to this growth is mobile where all markets experienced double-digit growth. 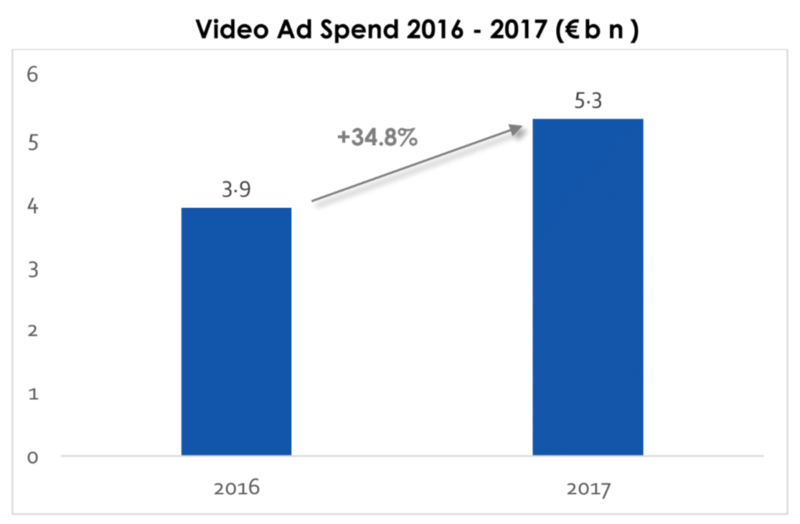 For the first time, the report includes data on social ad spend and splits video by in-stream and out-stream revealing that video and social are also key growth drivers underpinned by creative innovation allowing more seamless integration of ad formats into media content. Townsend Feehan, CEO of IAB Europe said, “The latest AdEx Benchmark Report confirms digital advertising’s role in underpinning the delivery of digital content and consumer experiences. With GDPR now a reality, the industry is at a crossroads and it must strive to improve on consumer expectations and maximise the contribution that digital advertising makes to the European economy”. The report treats video and mobile display as subsets of display, and mobile search as a subset of search. A webinar providing insight and comment from industry leaders on the results will take place on 3 July 15.00 CEST / 14.00 BST. Register here. 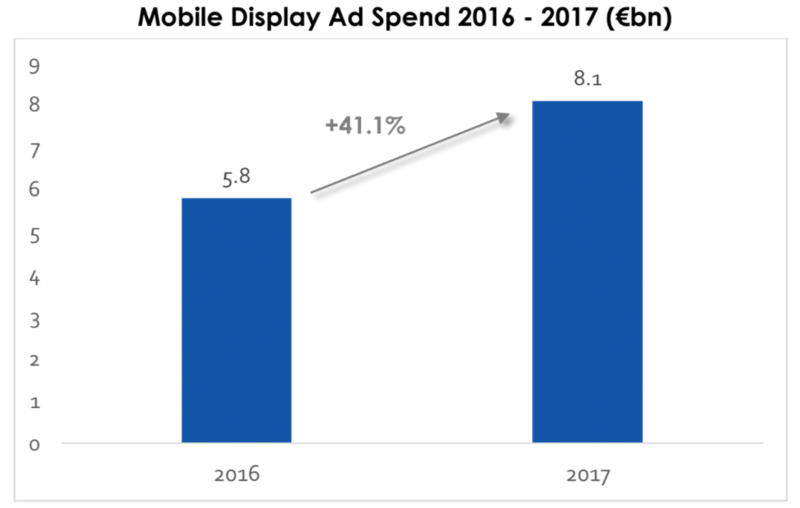 The data has been compiled by IAB Europe based on information provided by the national IAB offices around Europe. It is then processed and analysed by IHS Markit. The report includes market size and value information for 2017 for the following markets: Austria, Belarus, Belgium, Bulgaria, Croatia, Czech Republic, Denmark, Finland, France, Germany, Greece, Hungary, Ireland, Italy, the Netherlands, Norway, Poland, Slovenia, Romania, Russia, Spain, Slovakia, Serbia, Turkey, Sweden, Switzerland and the UK. The data represents the calendar year 2017 January- December. This is the twelfth AdEx Benchmark study which began in the calendar year 2006. IHS Markit Advertising Intelligence Service provides its clients with a holistic and global view of a rapidly evolving advertising and marketing landscape. Developed and maintained by a team of expert analysts, it offers accurate, continuously updated market data, forecasts and reports that give our clients deep perspective on a dynamic advertising market. As the only global product that offers the same detail and scope for both established and emerging media we provide a unique, independent and objective view. Where local data is collected in a currency other than Euros, the average exchange rate in 2017 has been used to convert this to Euros. To provide data for prior year growth rates, the prior year figures have also been re-calculated using a constant exchange rate in order eliminate currency effects.